Awww, aren't they adorable? They look like a family. Argh, jealous. Kekeke. 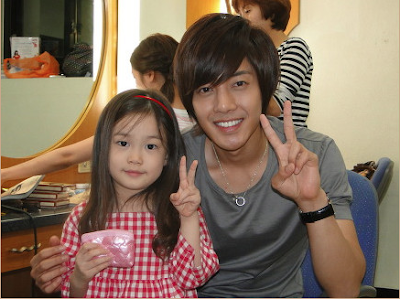 If I'm not mistaken this pretty little girl played as the child Oh Ha Ni in Naughty Kiss.